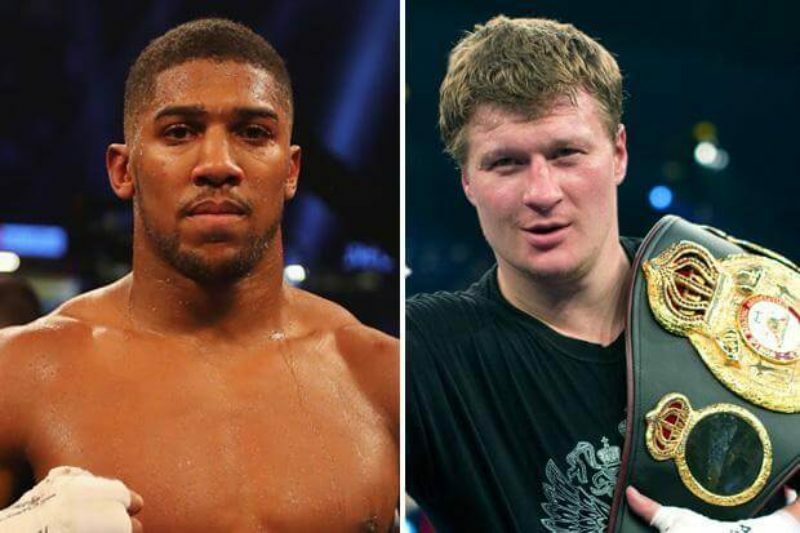 Alexander Povetkin is set to begin preparations for his much-anticipated bout with WBC world heavyweight champion, Anthony Joshua. The 38-year-old, who held the WBA heavyweight title from 2011 to 2013, is expected to fight the reigning heavyweight champion in September, after WBA ordered Joshua to sign a contract for a mandatory title defence against Povetkin within 24 hours. The WBA had on Tuesday told the Nigeria-born British boxer he must face the Russian, “with immediate effect.” It had previously granted Joshua an extra month to continue talks with Povetkin and Deontey Wilder, but the WBA had lost patience amid the negotiations. “I’m happy that everything is working out, it’s been a pleasure going through the negotiations with Eddie and I cannot wait for us to start the preparations for the fight,” Povetkin’s promoter Andrey Ryabinskiy said. This development means that the fight between 28-year-old Joshua and 32-year-old Wilder is now likely to be pushed back until 2019, if Joshua keeps his belts and Wilder defeats American Dominic Breazeale, who he could now face next. Povetkin knocked out David Price in March to become mandatory challenger. He has 34 wins from 35 bouts with his one defeat coming against Wladimir Klitschko in 2013. While Joshua made five defences of the IBF title and two of the WBA belt after turning professional following his 2012 Olympic gold medal triumph. He has fought exclusively in the UK as a professional.